Richard Ranaghan was one of the earliest Columban Fathers. The native of County Down in Ulster joined the new Society in 1917 and was a member of the first group of Columbans to go to China in 1920. Father Ranaghan became interested in the then-relatively new art of filmmaking, and the ways that it could potentially help and promote the Columban mission. Shortly before his departure for China, Father Ranaghan obtained some training in motion picture recording from a friend in Los Angeles, and the young priest proceeded to film Columbans clowning around during their sea voyage to their mission destination. During his four years in China, Father Ranaghan continued to film a great deal of footage of the Columbans on their first overseas mission. In 1934, the Columbans released their first formal movie, Cross and Dragon, under the direction of Father Ranaghan. The film featured the footage that Father Ranaghan had captured in China, including images of Bishop Edward J. Galvin, Chinese cities, people, and landscapes, and Columbans at work in China. The soundtrack also had famed crooner Bing Crosby singing during intermissions and introductions. Father Ranaghan's Cross and Dragon was a seminal work for the Columbans, and paved the way for the future use of film production for mission promotion. 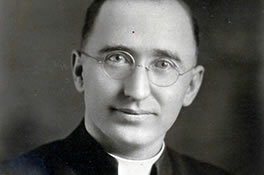 Tragically, in October 1937, a car accident in the U.S.A. cut short Father Ranaghan's life at the age of 48. Nevertheless, his ingenuity and filmmaking work inspired future Columbans, such as Fathers Charles P. Coulter, Sean A. Dunn, and Charles J. Duster, to make promotional movies in the many Columban mission countries. Motion picture production, in all of its various forms, has become an indispensable part of the Columban missions, and it all started with Father Richard Ranaghan and Cross and Dragon.